MFE Middle East leads the market in NDT, RVI and Environmental inspection equipment. Working with top manufacturers, we provide quality equipment sales and rentals for industry professionals. Reduce upfront costs and get what you need, when you need it with MFE Middle East . When you rent equipment from MFE Middle East , you are assured of its quality, dependability, accuracy, and the expertise that stands behind the equipment. All MFE Middle East inspection equipment is maintained by highly experienced inspection specialists with an extensive industry specific knowledge base. MFE Middle East will ensure you get the right equipment for your specific application delivered on time, and in the proper condition, so that your inspection is fast, accurate, and cost effective. MFE Middle East continually adds new equipment to its inventory and designs and builds for custom applications. If you don’t see the equipment you need here or if you’re not sure what kind of equipment would best meet your inspection needs, please give us a call. 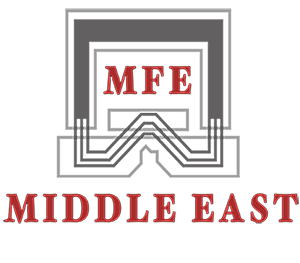 Here at MFE Middle East we pride ourselves on Field Experience and Result Driven Solutions. MFE offers portable and easy to use (RVI) Remote Visual Inspection equipment. A wide range of videoscopes, fiberscopes, rigid borescopes and pipe camera systems in various diameters, lengths, viewing options and resolutions are available, making our equipment suitable for even the most demanding of inspection requirements.